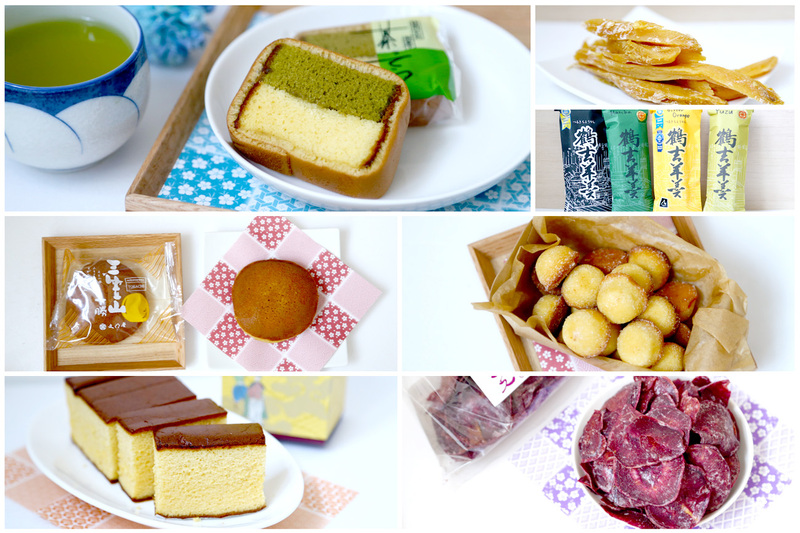 The Japanese make excellent cakes, pastries and snacks – many of which may look simple, but created by using high quality ingredients and skills which sets them apart. 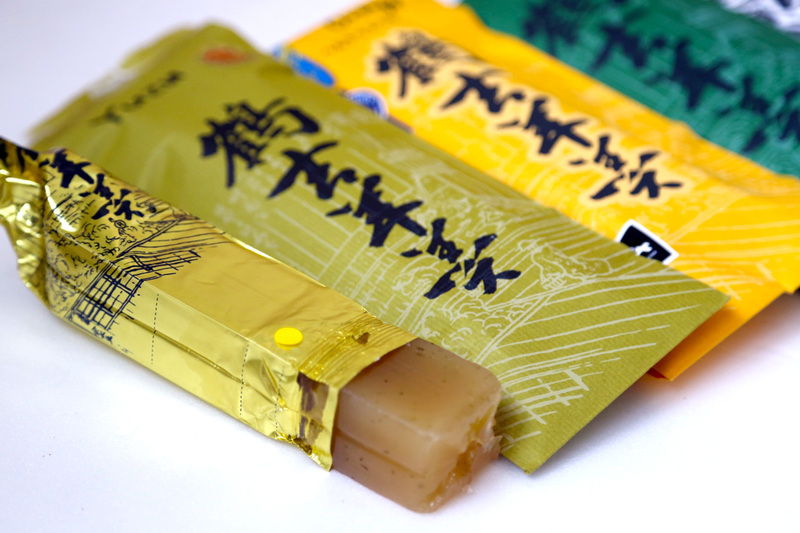 Other than the typical goodies that we purchase from Tokyo and Hokkaido, we can also consider getting snacks from Shizuoka Prefecture which also produces and distributes a range of delectable sweet treats. The Shizuoka prefecture is known to be home to the base of Mt Fuji, blessed with an abundance of pure water, famous for its green tea and cakes. 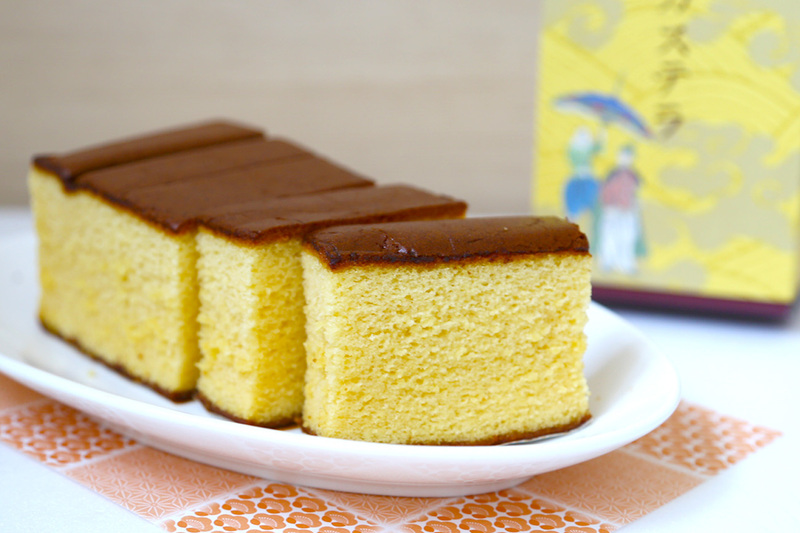 Castella カステラ is a popular Japanese sponge cake made of sugar, flour, eggs, and starch syrup, with origins from Castilla. My mum loves them. She said they were soft and moist for her to bite, and has a lovely sweet taste of pure honey. Great to pair with tea. Needless to say, we finished all 5 at one go. 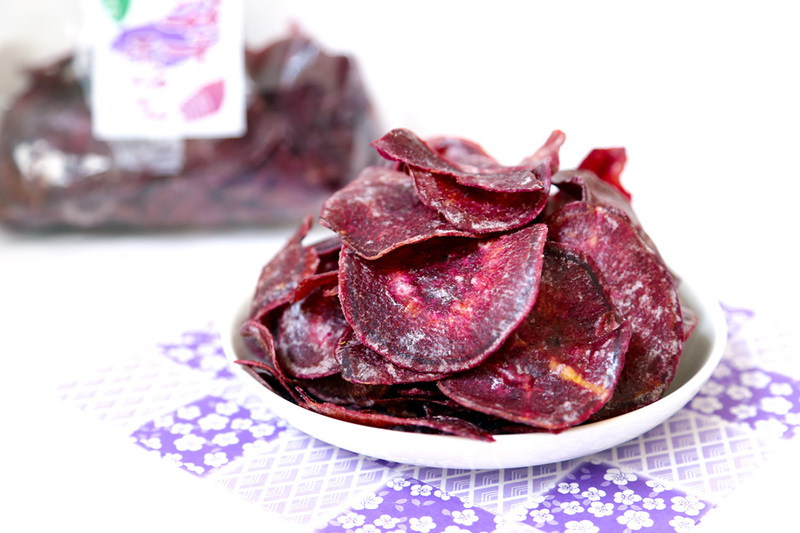 The Murasaki Imo Chips are deep purple sweet potato snack produced by Oimoya, located in the Shizuoka prefecture. ‘Imo’ refers to ‘tuber’. You may have seen these Murasaki Imo being used in soft serve ice cream flavours, and these violet coloured desserts are extremely popular (and occasionally hard to find). The chips have a sweetish outer coating, yet retaining that distinct natural taste of the sweet potato. Note: Extremely addictive (I tell myself to eat just 2-3 pieces each time). 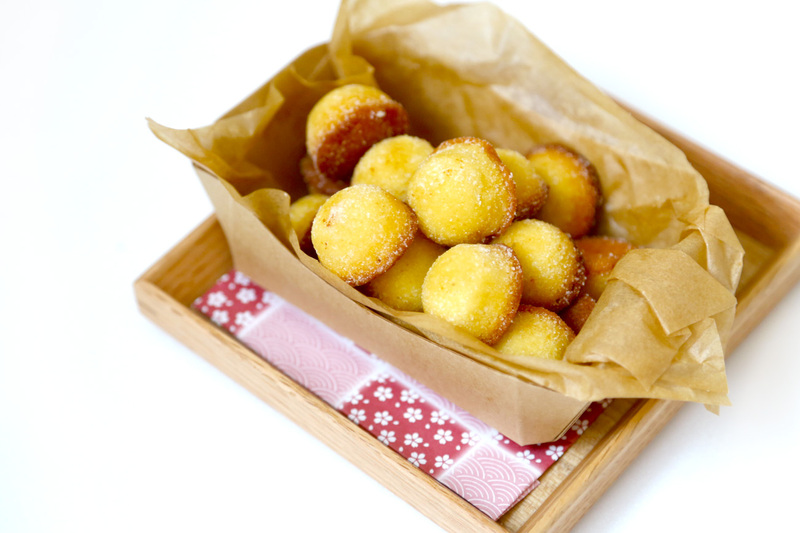 Cute bell-shaped cakes with a cute name – Kosuzu, which refers to the name of “Bell”. 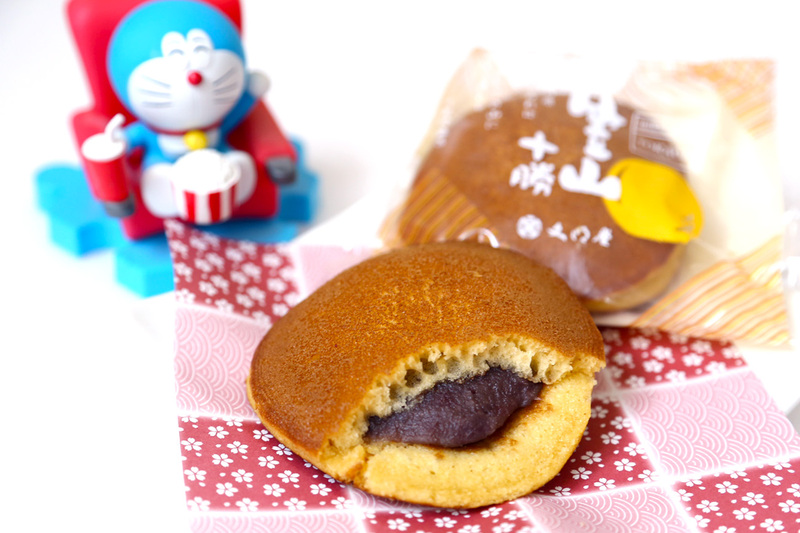 Fans of Doreamon should know that its favourite food is Dorayaki, and I am kind of influenced as well. The Bunmeido’s Mikasayama Dorayaki are made with the adzuki beans derived exclusively in Hokkaido, and it does make a difference. Love it for fluffy soft-like-pillow pancake with sweet smooth red bean paste fillings. 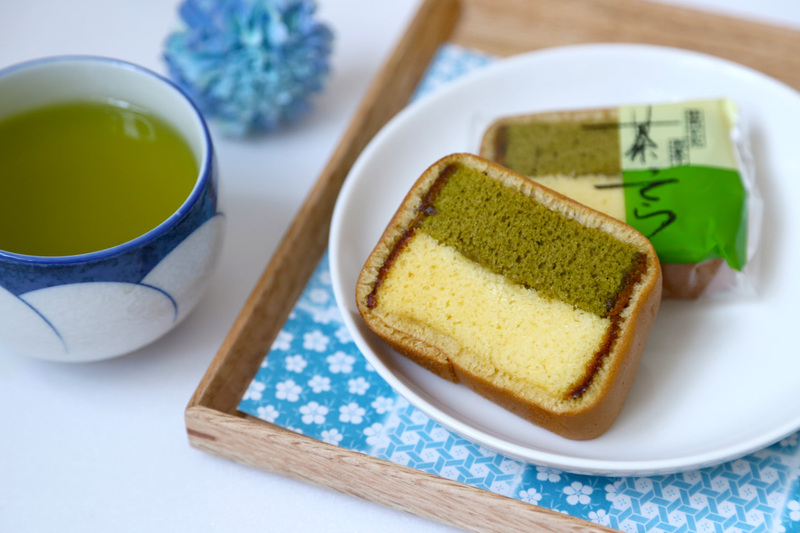 These Bunmeido’s Castella Cake consists of two parts – the top layer of eggy honey cake, with the bottom part added with quality Japanese green tea powder. These dried sweet potato produced in the Ibaraki prefecture were so immensely popular in Japan that people had to queue up to 3 hours at the department stores for them. Have you ever heard of Hoshi-imo? 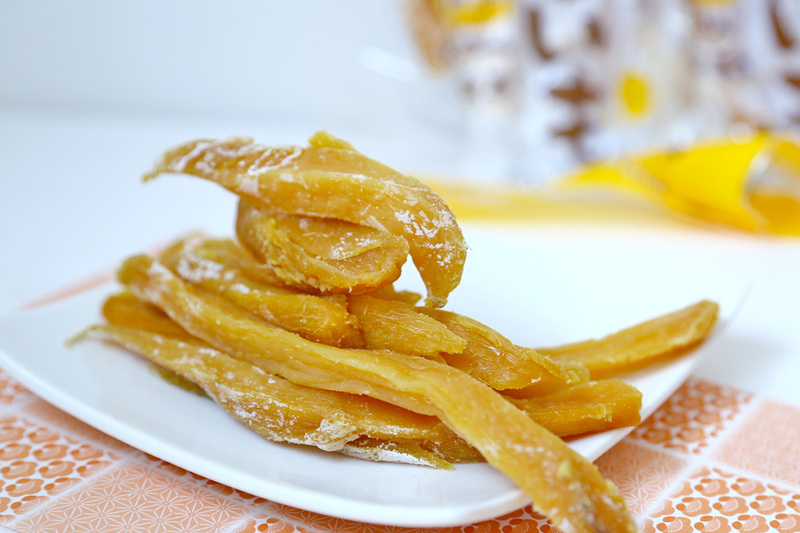 This is a traditional snack made by dehydrating sweet potatoes, then slicing them into bite size. Plus they are seasonal items, and become highly demanded while supplies last. I was pleasantly surprised the long yellow stripes didn’t taste that sweet (compared to the usual preserved fruits that we are used to) and actually feel quite healthy and filling. Good to know: This is the “Rakuten Shop of The Year” for consecutive years from 2006-2014. You could have seen the Japanese Yohkan 羊羹 before, but perhaps not in such a form wrapped within paper packaging. The Yohkan is a Japanese traditional sweet – thick, jellied dessert made of red bean paste, agar, and sugar. You could find it in cube forms on top of desserts such as ice shavings, or sliced up as a side dessert. These are sold in a block form, beautifully packaged, and then you can choose to cut them into smaller pieces, eat on its own or add to milk beverages, yogurt or on a cracker. Available in flavours of Original, Yuzu, Maccha Green Tea, Bitter Orange, and I would recommend the Yuzu for that unique little bitter plus citrusy-sweetness. 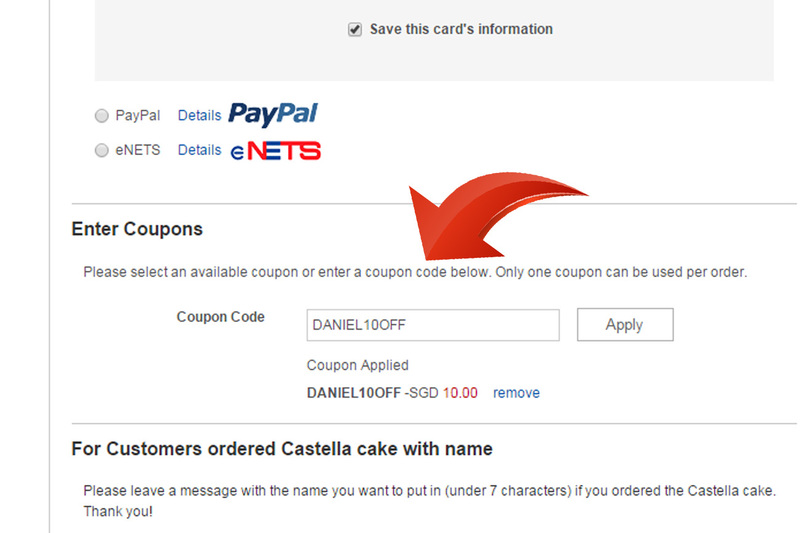 Exclusive Coupon Codes For DanielFoodDiary.com’s Readers! * This entry is brought to you in partnership with Rakuten Singapore.